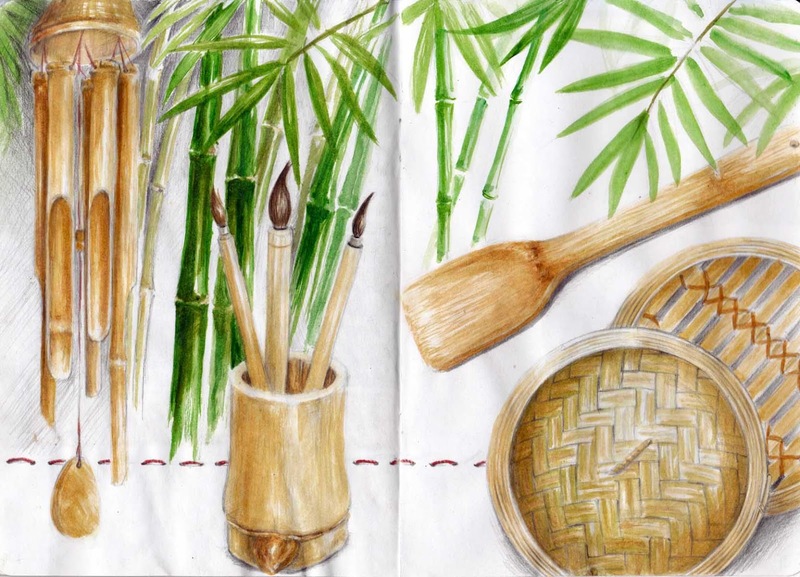 It seems bamboo is a versatile material,. I have seen men using them as scaffolding poles too. What a shame we in the western world didn't use this biodegradable source instead of plastic. Such a pretty page! Bamboo is very versatile. As Serena said, this is a pretty page. YOur project is coming along so well. I just love how you put everything together in such a perfect manner! And the thread is still there, keeping all in place ^^ I miss all these items, and in a way, reminds me of my late grand uncle who did a lot of bamboo themed chinese paintings for living too.